Haiti and the Dominican Republic have had a tense relationship since colonial times but that tension began to boil over in 2010 and 2013 when discriminatory policies led to tens of thousands of Dominicans of Haitian descent becoming stateless. From a woman who quickly regained her citizenship to a man who can’t wait to get back to Haiti but can’t afford it, this article tells the stories of Haitians, Dominicans, and those who are now legally neither. Throughout, racism and discrimination and even imperialism play clear roles but remain un-addressed. The influx from our poorer neighbor is overwhelming. They steal jobs. They are dangerous. They take advantage of our laws. They are seeking better lives. They do the labor-intensive jobs locals won’t. They contribute to the economy. This isn’t about building a wall on the U.S.-Mexico border or deporting undocumented Central American immigrants. It’s an argument taking place 700 miles off the coast of Miami on the island of Hispaniola, home to the Dominican Republic and Haiti — two nations divided by history as much as a border. It’s an uneasy coexistence for countries whose intertwined histories of colonization, conquest and racism over the centuries have left deep wounds. In recent years, controversial court rulings and laws have renewed tensions in the Dominican Republic. Hundreds of thousands of Dominicans of Haitian descent were stripped of their citizenship and forced to prove they were born here. Hundreds of thousands more who are undocumented immigrants have been forced to register with the government. In a political fight with arguments similar to the debate in the United States, the immigration hard-liners won. Last year I traveled across the Dominican Republic and Haiti to see the fallout from that battle. Among the people I met: A soccer player who left the Dominican national team because she couldn’t prove her nationality, a law student fighting for Haitians’ rights, and a woman who saw her town divided along racial lines. Here are their stories amid scenes of life on the island. Raquel Aristilde de Valdez, a Dominican of Haitian descent, is a business owner in Santo Domingo, Dominican Republic. 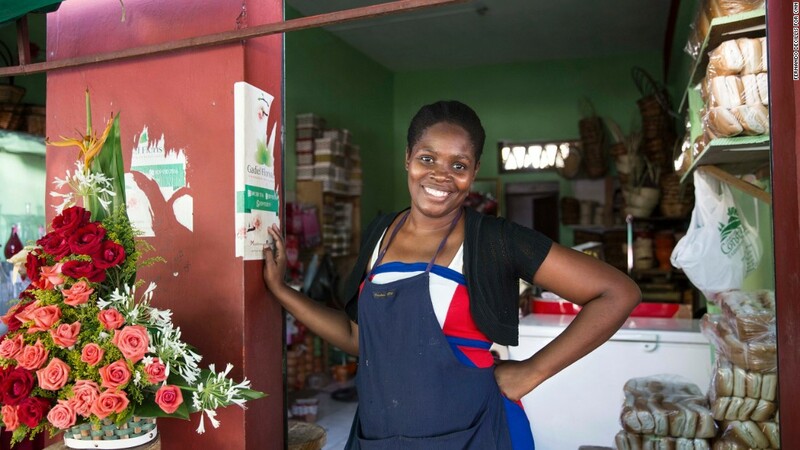 Standing in front of her flower shop in Santo Domingo’s Pequeño Haiti, or Little Haiti neighborhood, Raquel Aristilde de Valdez introduces herself as Haitian, though she was born here, in the Dominican capital. She belongs to a slice of the Dominican population — about 2.5% of 10.4 million — born in the country with at least one immigrant parent. There is pride evident as she explains how easily she shifts between Dominican Spanish and Haitian Creole, fluent in the languages and cultures of the two countries. That between-two-worlds feeling is familiar to children of immigrants. Despite her comfort inside Dominican society, Raquel considers herself an outsider. And she is treated as one. “My skin color, my race, my physical features don’t say I am Dominican,” she says. To her, the only things that make her “Dominican” are her birth certificate and her national ID card, or cedula. For a time, even those things were stripped from her, when a lawsuit accusing the government of discriminating against people like Raquel backfired. In the suit, another Dominican-born woman of Haitian descent alleged that authorities denied her a cedula because her parents were immigrants. For decades, the Dominican Republic’s Constitution had bestowed citizenship on anyone born on Dominican soil, just like in the United States. That ended in 2010, when the Constitution was rewritten to exclude children of undocumented immigrants. The lawsuit sought to validate the citizenship of those born to immigrant parents before 2010. Instead, the country’s highest court ruled in 2013 that all residents born to immigrant parents dating back more than 80 years were not entitled to citizenship. 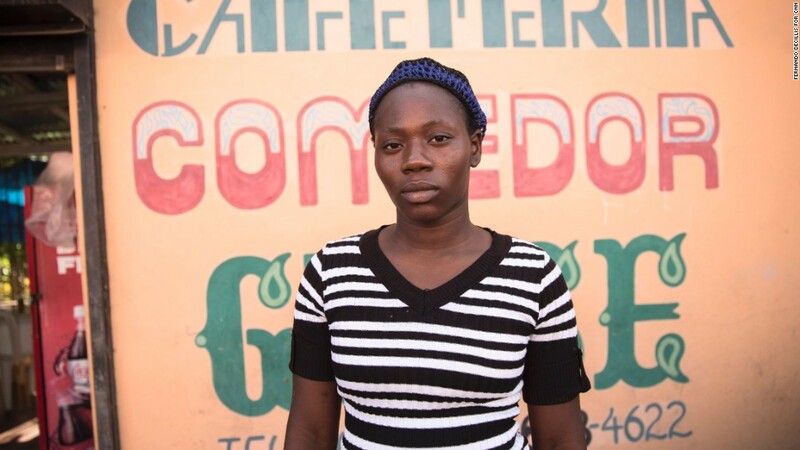 In a flash, approximately 210,000 Dominicans of Haitian descent, including Raquel, were made stateless. Human rights groups sounded the alarm over the population of noncitizens that was so suddenly created. International pressure mounted, including from the country’s Caribbean neighbors, and the Dominican government provided a “fix”: a law creating a path to restore citizenship. “No one born in the Dominican Republic will be deported, and no one who holds or is entitled to legal Dominican nationality will be deprived of it,” Dominican Ambassador to the United States Jose Tomas Perez wrote in an op-ed in July. The ambassador is partly correct. The mass deportations that many feared have not come to pass. But fear may have been enough. Heightened racial tensions and the idea of deportations caused tens of thousands of Haitian immigrants and Dominicans of Haitian descent to leave on their own. It reminded me of the anti-illegal immigration laws some U.S. states have passed, and the talk of “self-deportations” in the 2012 presidential election. Raquel was among the fortunate who didn’t have to fear for long. Her birth in Santo Domingo had been recorded in the civil registry at the time. With proof of her Dominican birth, she quickly reclaimed her citizenship under the new law. Dominicans who bristle at accusations of xenophobia point to this legal remedy. But less than a third of the estimated 210,000 left stateless successfully reclaimed their citizenship. Figures provided by the Dominican government last year show about 64,000 people benefited from the law. About 70% of those who qualified to have their citizenship restored didn’t or weren’t able to seek a legal remedy. The more common situation, I learned through dozens of interviews, is that children of immigrants are not recorded in the civil registry at birth. The reasons are many — fear of deportation if the parents are undocumented, births outside of hospitals, or language barriers. An immigration issue cost Cherlina Castillo Pierre her spot on the Dominican national women’s soccer team. Cherlina Castillo Pierre was raised in Baraguana, one of the Dominican Republic’s many bateyes — slums that sprang up during the 20th century as Haitians were brought in to work the sugar cane fields. Baraguana is in the northern Dominican town of Imbert, close enough to the coast to feel the full force of the sun but not the salty breeze. She started playing competitively at age 12, and three years later was selected to the Dominican national women’s under-17 team. Her future looked bright. Soccer would open doors for Cherlina, who was born in the Dominican Republic, the child of undocumented Haitian immigrants. She played halfback for the national team because, she says, her Haitian roots made her stronger than her teammates. Her toughness and attitude surely was reflected on the field; records show that Cherlina played in five games representing the Dominican Republic, drawing a red card in one match and a yellow card in another. The dream began unraveling when she had to renew her Dominican passport to travel with the team. She had been issued a passport as a child, but now that she was no longer a minor, she needed a cedula to renew it. Although this was before the 2013 court ruling, it was not uncommon for authorities to demand proof of a person’s birthplace before issuing a cedula — let alone a passport. Because her birth had not been recorded in the civil registry, she faced an uphill climb, and had to forfeit her dream.